After the Gadsden Purchase in 1853, many ventured west hearing promises of gold. The US government also commissioned the War Department to complete five surveys of the west to best determine placement of a transcontinental railroad. As for the canyon itself, because of the harsh terrain and isolation, the only way to map it was to traverse it. The task was given to Lieutenant Joseph Christmas Ives in 1857. His trip through the river on a steamboat proved largely unfruitful. After the Civil War, mapping resumed. The government contracted surveys of Ferdinand Hayden, Clarence King, and John Wesley Powell. Together they formed the United States Geological Survey in 1879. No official government maps were produced directly from these expeditions, but the cartographic research done was invaluable. Clarence Dutton was on Powell’s expedition and composed the Tertiary History of the Grand Cañon District in 1882, which became the first publication of the USGS. He is also responsible for naming many features of the canyon, especially peaks/temples, choosing to name them after deities of major world religions to aptly capture their sublimity. 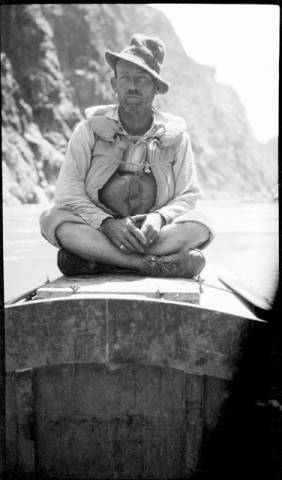 George W. Wheeler was the last major explorer of the canyon. He gathered composite mappings of the southwest from his own research to create the colloquially termed “Wheeler Atlas”. 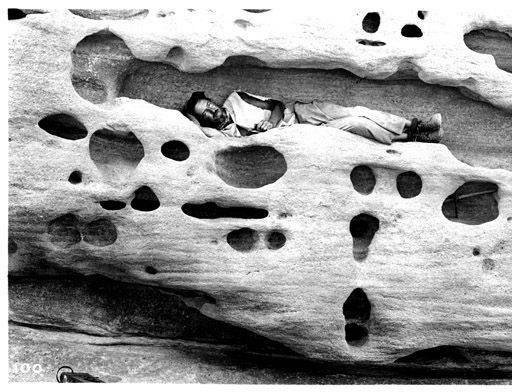 He is credited with creating the guidelines of mapping for the USGS and finding the course of the Colorado River. The USGS continues to map the land of the canyon. The USGS compiled the findings of explorers of the Grand Canyon area from 1541 to 1844 with the first map of the Grand Canyon in 1907. Robert Brewster Stanton subsequently completed a more comprehensive map that utilized research conducted up until 1908. Topographic quadrangle maps of the canyon were first produced with the Kaibab sheet of 1886 being the first. The Bright Angel quadrangle was produced in 1903 and a color relief model of the whole canyon came about in 1910. Others have tried their hand at mapping the canyon, including the Forest Service, who produced a map in 1910 that conveyed the boundaries of the Grand Canyon as a National Monument. Private maps have been produced as well. With the use of these quadrangle maps, a complete government map of the canyon was complete in 1927. The first single sheet map came about in 1962 and a shaded version then in 1972. Individual (15 minute) quadrangles were also produced in 1962. They were divided into 7.5 minute sections by 1988. The National Park Service also produced maps, though significantly less detailed. The earliest surviving map from NPS dates to 1926. These maps were used mainly for recreational navigation, mapping trails and prominent features as opposed to geological information. 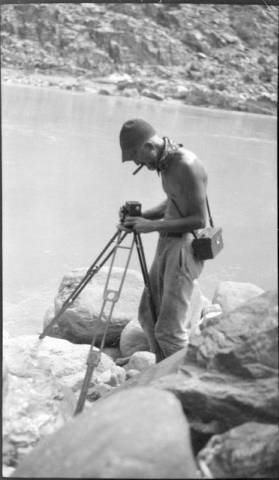 USGS River Trip, 1923, Man [E. C. La Rue] with Instrument [Camera and Tri-pod].